Whitehot Magazine, 2011. Original article. Posted on 02/16/2015 by Jess. 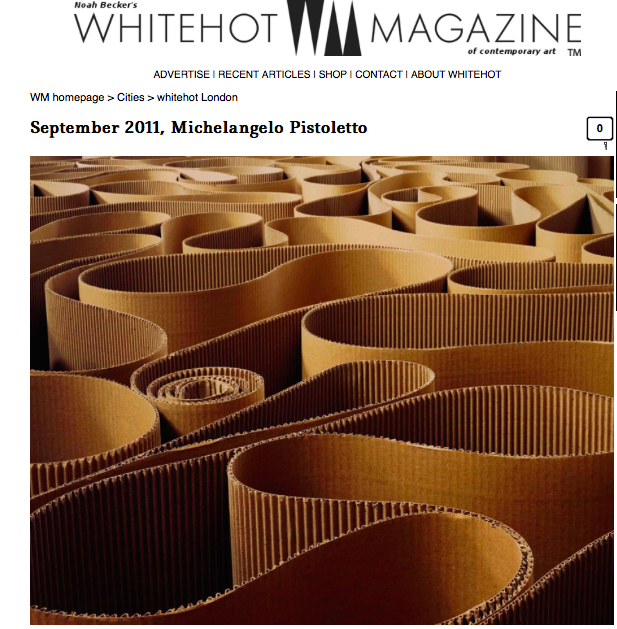 This entry was posted in Art writing and tagged art writing, michelangelo pistoletto, serpentine gallery, white-hot magazine. Bookmark the permalink.